Tables designed for autopsy or dissection (pathology tables). Smooth, stainless steel tables with a specially designed working surface and drainage system. They are used for autopsies and dissections. 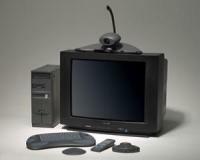 This system provides a very high resolution and supreme fidelity of the image obtained by the optical device. 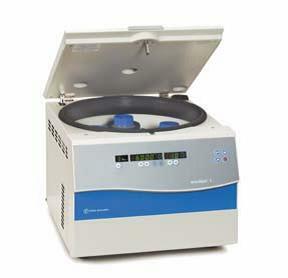 Centrifuges for collection of microorganisms, cells and cellular debris, and precipitates. These high speed floor units operate at max. speeds of 10,000-25,000 rpm, and are also capable of sedimenting viruses and cellular organelles. Low-speed refrigerated units or nonrefrigerated ones which operate at room temperature are also available. 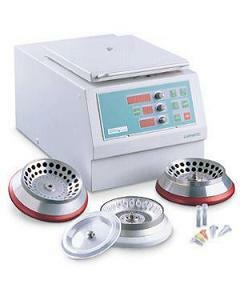 Centrifuges for use in the clinical laboratory. The simplest model is a metal rotor with holes that can hold vessels of samples. The samples are spun using high-gravity centrifugal force to expedite separation of suspended particles from liquids (body fluids, commercial reagents, etc.) or to separate liquids of different densities. 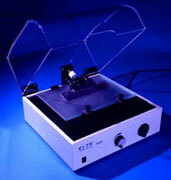 Light sources used externally to laboratory equipment. 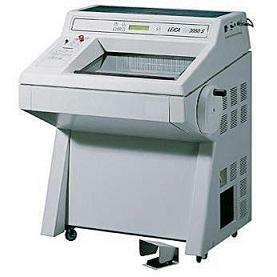 These sources are intended to be operated with laboratory equipment such as spectrophotometers. Some sources will feature extended light range, i.e Ultraviolet and / or Infrared. 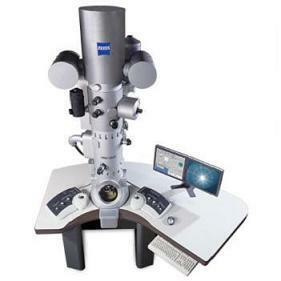 Miniature optical scanning laser microscopes designed to be used mainly in medical laboratories, medical research, gastroenterology and endoscopic procedures. 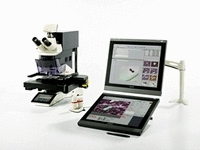 These microscopes obtain high-magnification (typically up to 5000x) cross-sectional (i.e., three dimensional) images by scanning tissue with a focused point of laser light, restricting the illumination to a tiny, targeted section of the specimen while eliminating out-of-focus light (i.e., confocal microscopy). 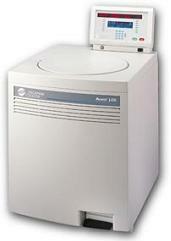 Cryostat microtomes, with temperature controlled cabinets, for cutting frozen tissue samples. May be automated or manual. Some include knife sharpeners. Transmission electron microscopes, which provide an image of the area being studied. The electron beam passes through the specimen, allowing highly magnified (500,000x) visual images of tissues, cells, and cell structures.. These microscopes are most often used for identifying cancer cells, and for diagnosis and differentiation of renal diseases. 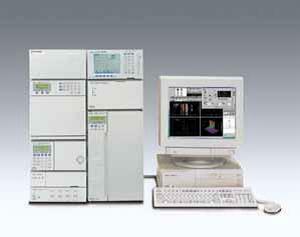 Instruments used for determining electromagnetic radiation emissions. Spectrofluorometers detect fluorescent compounds using UV light, which causes fluorescent compounds to emit visible light. The detector used is usually a photomultiplier tube. A system used for high-pressure packed column gas chromatography.The packing of the column can be of porous solid material, with the interactive solid on permanently bonded ionic sites, and separation occurs by electrostatic interaction. The packing of the column can also be of microparticulate silica gel. The functional groups of the stationary stage are usually non-polar (reverse bonded-phase chromatography), or polar relative to those of normal phase (normal bonded-phase chromatography). 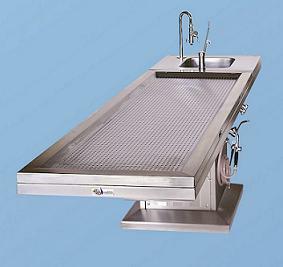 Hoods used in clinical laboratories to remove or filter harmful materials. Contaminated air can be removed or filtered and recirculated. These hoods are used in laboratories and pharmacies for protecting the personnel and the environment from hazard materials that are used in these locations. The hoods are a closed and protected area, where the necessary work can safely be performed. In these types of hoods, the inner air is sucked in, filtered by special filters, and returned to the hood after filtration. 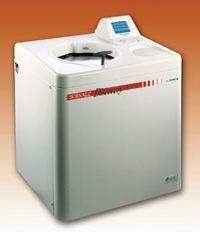 Self-contained units for temperature cycling in test samples, using water, metal blocks, and/or conductive fluids. These incubators are used for heating/cooling cycles in cell culture studies, DNA sequencing, and gene manipulation. 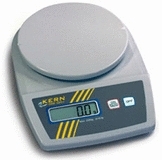 General purpose balance for quick weighing of relatively large quantities of substance. This type of balance usually has an accuracy rate of no more than ±10µg. 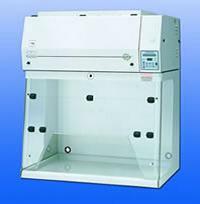 Some shakers are combined with thermostatic facility for incubation or for other purposes. 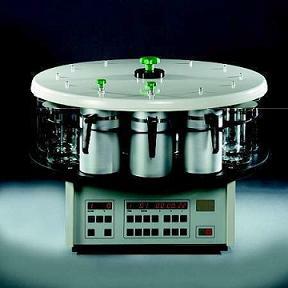 Microcentrifuges used to separate cells and microorganisms, and to sediment viruses and cellular organelles. Some models are refrigerated. 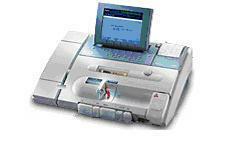 They are used to separate small volume samples, such as from pediatric patients. 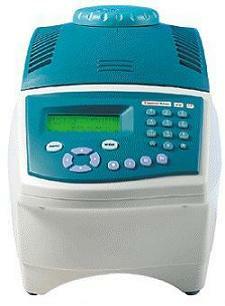 Nonrefrigerated low speed models are mainly used to centrifuge blood or precipitates, also for small volume samples. 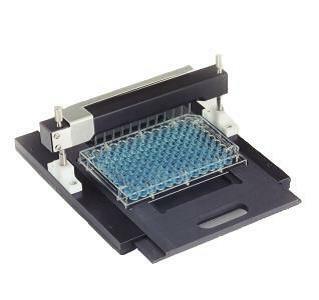 Centrigfuges for slides (cytology) are also included in this category. 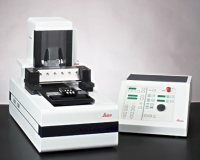 Automatic washers with programmable control unit for cleaning microplates that have been used in laboratory procedures such as fluorescence,enzyme and DNA probes immunoassays . Removal of dirt and/or biological debris is performed using several customized cycles of operation. 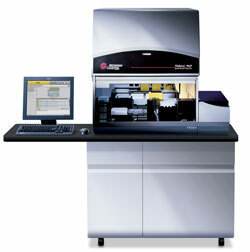 Semi or fully Automated systems for preparing mono-layer samples for microscopy, including the Papanicolaou smears. 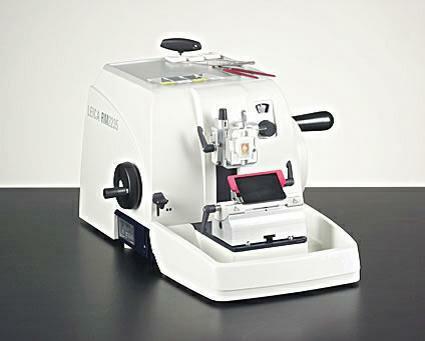 Specially designed microtomes for use in histopathology laboratory, using a steel, tungsten-carbide, or glass knife. They are especially accurate for cutting tissue specimens that have been embedded in a medium, into thin sections required for microscopic analysis. Mechanical microtome knife sharpeners. Different methods are used to renew cutting angle of the knives, which are used for cutting microscope- thin tissue segments. 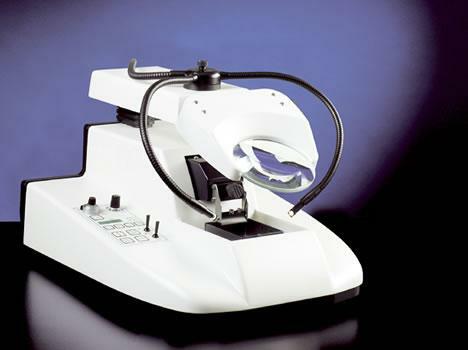 A mechanical arm lowers the microtome knife onto a sharpening plate. Another method uses a sliding mechanism with honing and stropping wheels. Other sharpeners hold the blade against a disk containing an abrasive compound. Duration of process is set by automatic controls. Knife angle is adjustable. 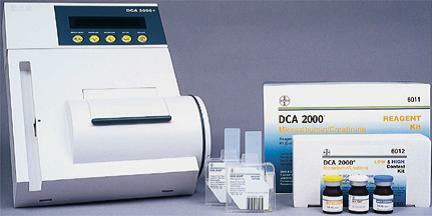 Oximeters measure the light intensity that passes through a blood sample at four or more wavelengths. Photometric or spectrophotometric techniques are used to select the wavelengths. These measurements are used to calculate oxygenation derivatives. 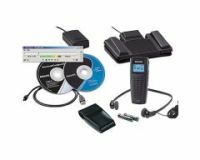 Laboratory oximeters are used to simultaneously determine hemoglobin forms and the sum of all hemoglobin derivatives. 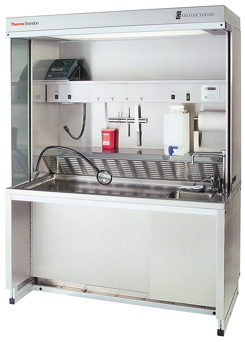 Two paraffin embedding baths controlled by the programming unit for the optimum operation. A cooling unit is attached. The temperature as well as paraffin flow rate are adjustable. A work bench for pathology. A work bench with a sink and positive drainage. Includes a ventilator system and water supply. Electron microscopes that provide a three-dimensional image of the surface of a specimen. Biologic specimens must be dried, mounted on a support stub, and coated with a thin film of a heavy metal (e.g., gold) before scanning electron microscopy. Scanning electron microscopes have yielded information on hematologic disorders and about surfaces, such as those of the small intestines and serous cavities. 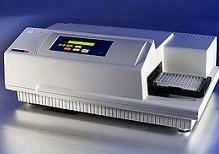 Automated slide stainers using rotating or linear transport processing systems. Tissues are prepared for dye diffusion using different techniques (direct, indirect, or mordant staining, or surface absorption). Slides are moved either using a circular turntable or linear conveyer belt. 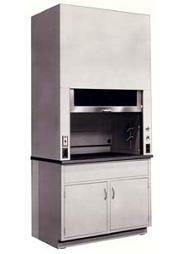 Some have integrated fume hoods to protect laboratory personnel from exposure. 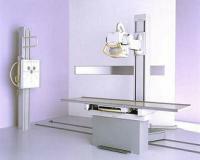 Radiographic units for imaging tissue samples. 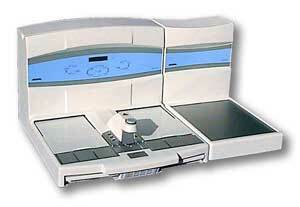 Radiographic units for tissue sample imaging. These radiation-safe cabinets are stand alone, with an x-ray tube, x-ray generator, and collimator. Higher x-ray exposition and lower kilovoltage produce higher resolution and better contrast for tissue sample imaging. Devices used to prepare tissue specimens before microscopy. 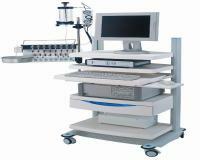 The process of fixation, dehydration, clearing, and treatment of tissues is automated by these devices. 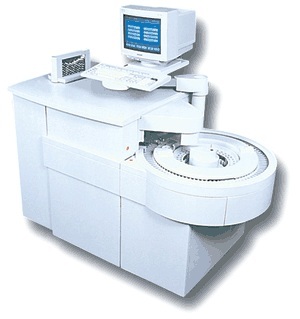 Ultra high -speed floor or tabletop centrifuges are used for lipoprotein separation, isolation of viruses, enzymes, blood fractions for analysis, and cell structure and function studies. They include a refrigerating system so that samples do not decompose from the heat generated by ultrahigh speed. 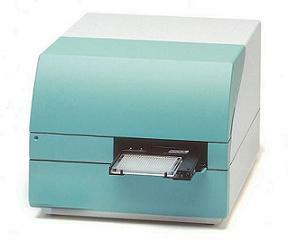 A device for ultra thin section of tissue for microscopic work. 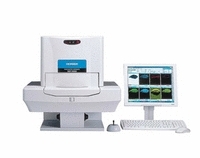 These microtomes use a vibration system of the blade to achieve thin and ultra thin sections. 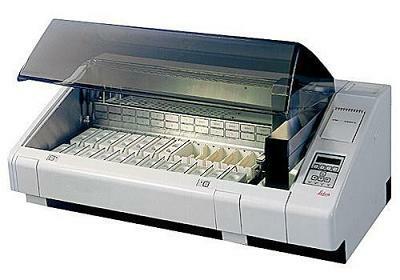 The vibration results in good and clean suction for the use of the pathologists. In some models frequency of the blade vibration can be adjusted for better results, some also have a temperature controlled function. These instruments use X-ray tube to “bomb” the sample with X-ray radiation while measuring the wavelength and intensity of the emitted energy. 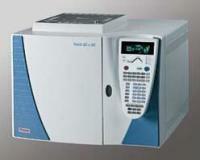 A laboratory apparatus of high sensitivity capable of measuring very low concentration of the measured substance, up to few ppm. It uses X-rays to “bomb” the sample with X-ray radiation while measuring the wavelength and intensity of the emitted energy. These instruments operate in forensic medicine, in environmental laboratories (detection of different kinds of pollution) and more.